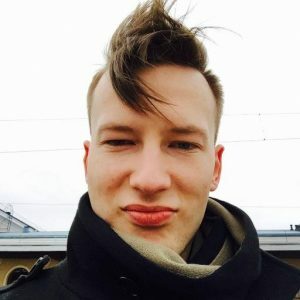 Security researcher, Brian Krebs, from The Secret Service warns about the first jackpotting (also known as logical) attacks in the U.S. Criminals have managed to make domestic ATMs spit out cash in seconds. Experts say that the machine can let out up to 40 bills every 24 seconds. During the recent years, logical attacks have only been a threat in Asia, Europe and particularly Mexico. However, now criminals are targeting to hack into ATMs with the help of Ploutus.D malware to exploit system vulnerabilities and make the ATMs dispense money. This represents the first confirmed cases of losses due to logical attacks in the US. This should be treated as a call to action to take appropriate steps to protect their ATMs against these forms of attack and mitigate any consequences. Jackpotting requires opening a fraction of an ATM to connect the laptop or another device. Once the malware is installed, it then exploits system vulnerabilities and uses brute-force attacks to compromise the machine. After the infiltration, criminals gain remote access to the ATM and can take the control over. Fraudsters dressed as ATM technicians and attached a laptop computer with a mirror image of the ATMs operating system along with a mobile device to the targeted ATM. The targeted stand-alone ATMs are routinely located in pharmacies, big box retailers, and drive-thru ATMs. ATMs still running on Windows XP are particularly vulnerable, and it urged ATM operators to update to a version of Windows 7 to defeat this specific type of attack. Since investigators have estimated an approximate €332 million loss from ATM fraud in 2015-2016, it is clear that immediate actions should be taken in order to stop criminals from obtaining illegal profits. ^ Charlie Osborne. ATM jackpotting reaches US shores. ZDNet. Technology News, Analysis, Comments and Product Reviews. ^ Jaime Dunaway. Hacking Techniques That Force ATMs to Spit Out Cash Have Made It to the U.S.. Slate Magazine. Politics, Business, Technology, and the Arts. ^ Tom Spring. 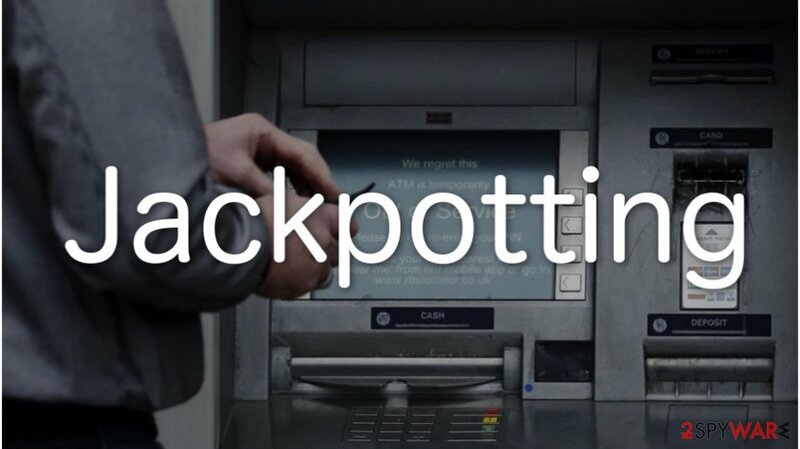 Ploutus.D Malware Variant Used in U.S.-based ATM Jackpotting Attacks. Threatpost. The first stop for security news. ^ Brian Kerbs. First ‘Jackpotting’ Attacks Hit U.S. ATMs. Krebs on Security. Security Blog. ^ David Louie. Secret Service warning banks about ATM 'jackpotting'. ABC7 News. KGO Bay Area and San Francisco News. This entry was posted on 2018-01-31 at 05:44 and is filed under News, Security.